When you think of mussels, you probably envision a heaping bowl of flavor. Whether you tend to opt for a white wine sauce or are more of a Thai green curry fan, I bet there’s one thing you don’t (or would want to) think of: opioids. It’s sad but true, folks. Researchers recently tested mussels off the shores of Seattle, many of which tested positive for opioids. The United States is facing a serious opioid epidemic — and this recent finding could not make things any clearer. While dipping a toasted piece of bread into your lovely bowl of mussels, you likely don’t think about oxycodone, do you? A growing epidemic in Canada and the United States, opioid use is at an all-time high. Highly addictive, it is estimated that more than two million Americans have become dependent or have abused opioids. In 2016 alone, there were more than 63,600 overdoses in the United States, 66.4 percent of which were due to opioids. Although the impact of this epidemic is apparent on land, the opioid crisis has now reached aquatic species, including mollusks. Upon studying mussels in Puget Sound, Washington State Department researchers found mussels tainted with not only oxycodone, but also heart medication, antidepressants, antibiotics, and chemotherapy drugs. The reason why mussels are an ideal test subject is because they are filter feeders. While consuming various microscopic animals and plants, they also ingest a range of contaminants. In turn, their tissues then reflect water quality across time. The mussels tested positive in three of 18 test sites, all of which were near highly urbanized areas. The fear now is the potential impact of these drugs on fish, such as salmon. Although the reported levels of oxycodone were hundreds of times lower than the suggested dose for humans, the biological implications are not yet fully understood. It’s clear that North America is facing a prescription drug epidemic. However, how is it that aquatic species, including mussels, end up with trace amounts in their system? Well, the answer to this question begins with our wastewater treatment plants. Receiving water from household toilets, as well as the water from hospital toilets, this is how pharmaceuticals are transferred from our bodies to treatment centers. The cycle is quite simple, really. An individual takes a pharmaceutical drug and then excretes trace amounts in their urine. In some cases, people also flush drugs down the toilet, which is another key area of concern. Although shocking, this is not the first time that measurable amounts of chemicals and medications have been detected in water samples. One study, conducted by the US Geological Survey, found detectable levels of one or more drugs in 80 percent of the samples taken from a total of 139 streams, across 30 states. This just goes to show that this is a nationwide problem. What we put on our lawns and flush down our toilets, often impacts local aquatic systems. As stated above, in this recent study, a number of chemicals were found while testing mussels. Back in 2008, Science Daily reported that everyday substances, used by humans, are now turning up in our rivers, lakes, and oceans. This cocktail of chemicals is significantly affecting aquatic life and is also believed to directly impact humans. While one chemical may not be deadly, the real concern is the combination of chemicals, all of which create a potent mixture. Sure, a single pesticide may be regulated, but once x-number of pesticides make their way into the local ecosystem, these mixtures are not regulated. Unfortunately, of the approximate 30,000 chemicals used commercially in North America, researchers believe that around 400 will not break down. As seen with the mussels in Puget Sounds, these chemicals then accumulate in fish and wildlife. What’s even more alarming, is that approximately 75 percent of these 400 chemicals have not been extensively studied. From oil spills to the impact of urban runoff, the dangers are clear — yet little is being done. The accumulation of toxic chemicals in loggerhead turtles. These chemicals include those used in stain repellents and nonstick coatings for food packaging. Since the original purpose is to resist grease and spills, they do not break down in the environment. Since turtles eat mussels (which are contaminated), they are facing liver damage and a reduced ability to reproduce. After studying five chemicals, it was clear that the combination of these toxins impacts salmon throughout the Northwest. It was found that exposure to five common insecticides was much more toxic than any of the chemicals acting on their own. Researchers are concerned that pesticide runoff is contributing to salmon population declines. Birth control medications are causing increased levels of estrogen in aquatic environments. Once again, urine that is sent to wastewater treatment plants is not completely filtered. The real concern here is the impact that this may have on gender bending. Impacting hormones in both male and females, many species are in decline. When the population of small fish declines, such as the fathead minnow, this directly affects predators along the food chain. The mussels found in Puget Sounds were a wakeup call for many people. However, the truth is, this level of contamination has been going on for years. Unfortunately, many view these issues as an “out of sight, out of mind” problem. Hey Buddy!, I found this information for you: "Avoid Eating Mussels From This Region — They Contain Opioids". 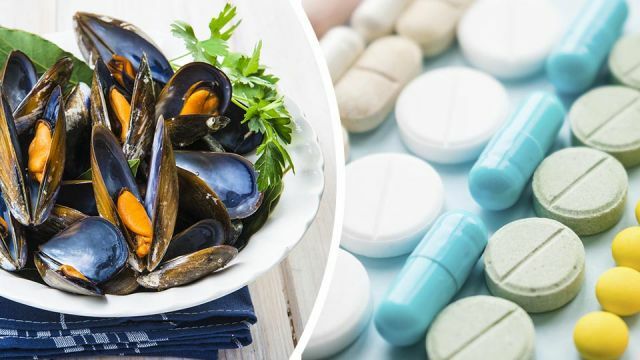 Here is the website link: https://www.thealternativedaily.com/avoid-eating-mussels-from-this-region-they-contain-opioids/. Thank you.